My family has the BEST adobo recipe. Oh wait, you say yours does? Well we like ours with extra vinegar. You add ginger to yours? Well that’s not REALLY adobo. Our neighbors use a lot of black peppercorn. It’s not as good as ours. Just kidding – it’s all good, and it’s all adobo! Evey Filipino household has an adobo recipe, and they all vary based on region, island, religion, barangay, or just personal preference. The typical adobo recipe is a stew made with vinegar, soy sauce, garlic, onion, peppercorn, and bay leaf, but that can always vary. You can adobo anything – pork, beef, chicken, squid, vegetables, whatever. Google “Filipino Adobo” and you’ll get a full list of recipes written by Filipinos and non-Filipinos. I remember the first time I made pork adobo for Keith. I was so proud to share a quintessential Filipino dish with him, and he loved it! A few days later, he made a batch and was so nervous and excited for me to try it. I mean, I’ve only been eating it all my life. “I added coconut milk and ginger,” he said. “That’s not adobo,” I affirmed. How could he mess with the best? I reluctantly took a bite. It was better than mine. I didn’t know I could be so pissed off and proud of him at the same time. 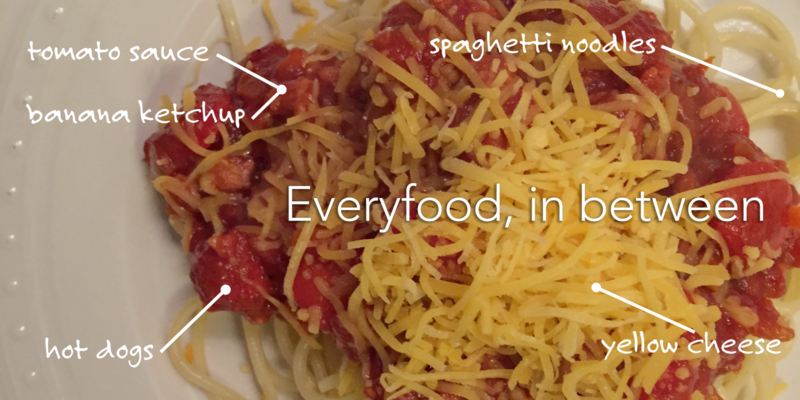 The lesson of this story is that there’s no problem with changing up a traditional recipe. Cuisines are ever evolving (never fusing), so embrace it! 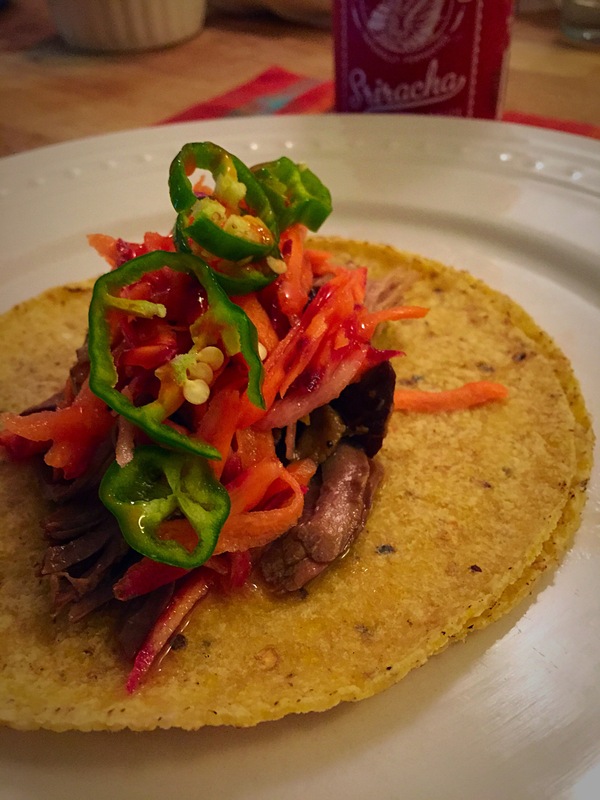 The tortilla is the perfect vehicle for getting adobo in American mouths! 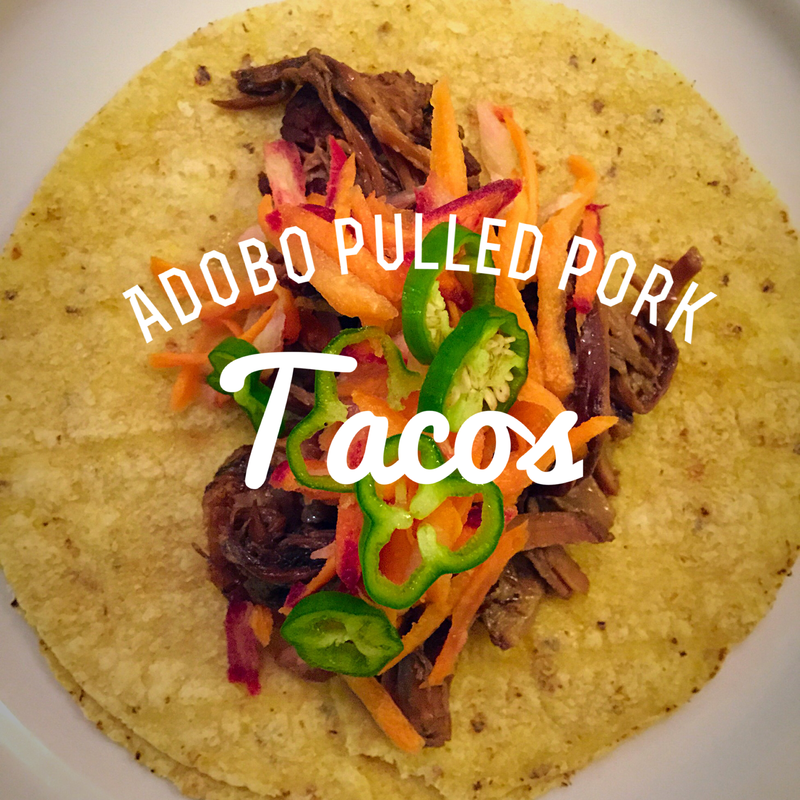 I’ve made adobo pulled pork tacos a number of times. I typically like to make coconut rice and add a layer between the tortilla and the pork, but here’s the pulled pork and slaw recipe below. It’s a slow cooker recipe, because we’re all busy. 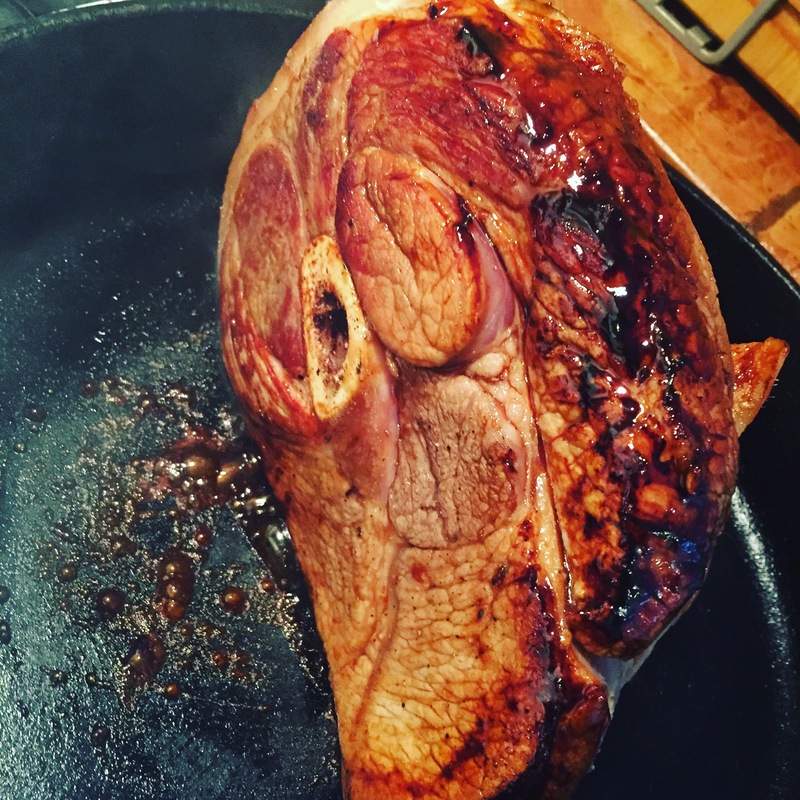 3 lb pork shoulder, trim excess fat. Excess is subjective. I kept it all on. 3-4 small rainbow carrots. Orange is fine if you ain’t that fancy. 1. Season pork shoulder with salt and pepper. Rub with brown sugar. Heat heavy pan on high heat. Add vegetable oil. Sear all sides of the pork shoulder. 2. In a slow cooker, add all ingredients, being sure to add enough water to almost cover shoulder (3/4 way). Set slow cooker to low for 8-10 hours, or until you can pull the meat apart. 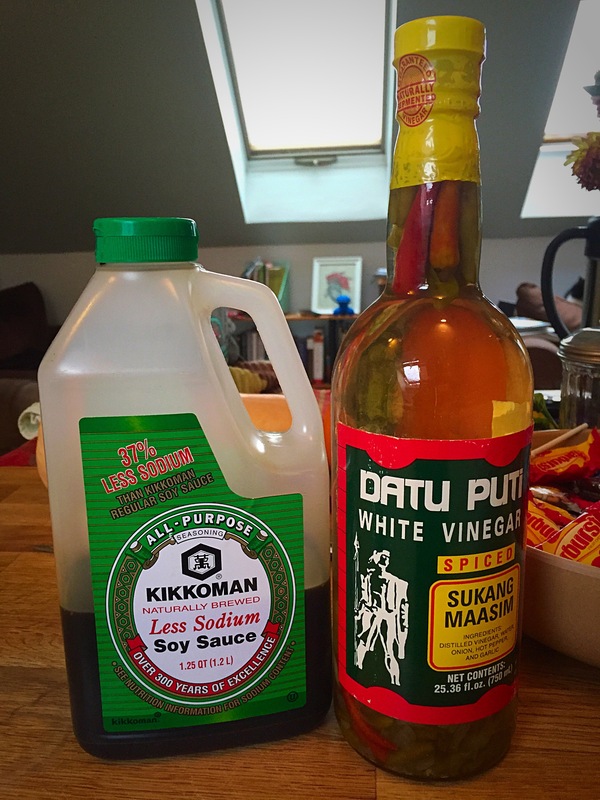 Soy sauce, Datu Puti vinegar, and Halloween candy. 3. Meanwhile, combine all ingredients for slaw into bowl. Refrigerate until ready. 4. Pull meat part by hand or with tongs. Return to meat juices. Mm, meat juices. 5. Assemble and enjoy! Feel free to add more heat. I added some local Sriracha sauce from The Kitchen Garden Farm. You can also add some white rice to give your tortilla more structure. Tip: Cover your tortillas with a wet paper towel and heat it in the microwave for a few seconds to make them more flexible.